If you want to get most out of your cooling system, you need to do regular preventive maintenance and repairing by professionals and certified HVAC specialists, to ensure your home or working place is not without air conditioning. Moreover, Air Conditioner Maintenance is important in reducing risks of any possible problems. Neglecting regularly scheduled AC maintenance and annual inspection of its components, air conditioner’s filters, coils, and fins will result in a continuous decline of your air conditioning system performance to operate effectively and efficiently. 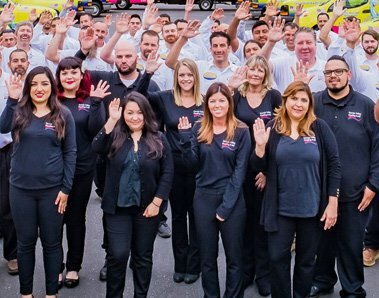 We are the most reliable air conditioning service provider in Southern California for years, committed to the highest quality standard of service that every resident relies on for quality results. 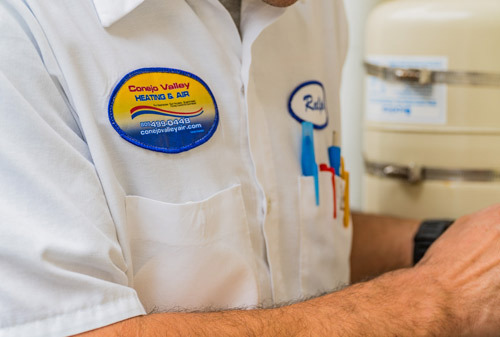 Our team at Conejo Valley Heating and Air Conditioning, Inc. has all of the skills for all brands and models of AC systems, including the experience needed in order to run your AC unit at its maximum potential that lasts longer and helps you keep energy costs down. With just a phone call away, our Nate-certified HVAC technicians will visit your location, assess the unit, discover faults, and provide a guaranteed solution that will bring it back to its full working condition. Call us now at (805) 499-0448 to get the help you need to improve the efficiency and maintenance of your air conditioner. Why Does Your Air Conditioner Need Maintenance? In the Southern California area, residents rely on AC cooling units to provide the convenience required during the summer heat. 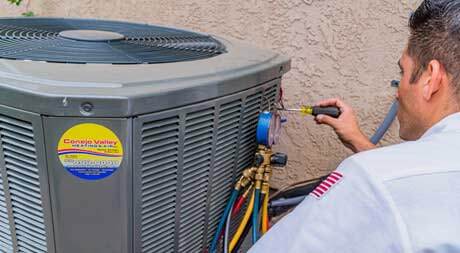 In reality, your AC unit serves just as any other major appliance, meaning it requires adequate maintenance and proper care for it to keep functioning at peak condition. Let’s also recognize that we exert load on the unit whenever it’s being used and can make it function less effectively in the long run. Without providing regular maintenance, the unit can start developing issues, which can cause it to stop working efficiently. We recommend getting professional AC maintenance at least twice a year to keep it in good shape. This is essential since the AC unit begins to wear down if not well cared for over the course of extended usage. When you get yearly maintenance – you can be assured that it will be up to meet your expectations during the summer period! With our services enjoying SEER rating, you can trust that our regular AC maintenance and repair solutions will put your units working perfectly at all times! AC tune-up is very essential since your cooling system happens to be a major investment for your living space as it provides you desired comfort. 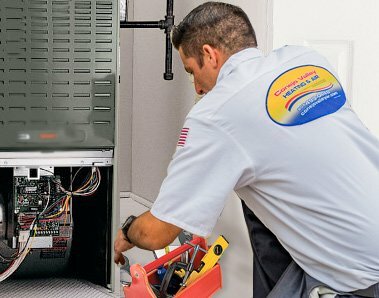 As a company with a wide-range of experience installing, repairing, and maintaining AC units of diverse makes and models, we know the basics of what it takes to have the system running perfectly. This includes regular unit assessments, offering the best preventive maintenance every season. Our HVAC technicians will provide you with a detailed AC tune-up checklist and offer workable recommendations to get your air conditioning system working in perfect order. Doing all or some of the pointers above, with our air conditioning tune-ups in Conejo Valley, you can simply keep your cool knowing that everything will be fine with your system! Schedule a FREE comfort analysis and estimate today! We have put together the following Air Conditioner Maintenance tips that will help keep your system in good working condition! Performing AC maintenance tasks on your own is possible if you are comfortable with it and have an idea on what to do. However, if you find it uncomfortable to do, never dilly-dally to call on a professional to handle it for you. Take care and observe safety precautions, and most importantly – remember to ALWAYS shut down the system power. It is vital to consider cleaning your air conditioner air filter compartment. Do this at least once a month during periods of high-usage such as winter and summertime, also during the fall and spring seasons. The filter is bound to fill up with dirt, dust, or other sorts of allergen particles. This alone will certainly minimize the unit’s air circulation, making it function harder than it should. Cleaning the filter will prevent allergies or other health issues in the home. First – make sure to always turn off the system’s power. Proceed to check for overheating signs (this can be observed through detecting melted insulation on wires, or seeing burnt wires, among others). You can also utilize an electrical test meter to check for any electrical connections- ensuring they are well fitted. Check out the capacitors as well. Do an assessment on the thermostat and see if it’s working properly. Check on the condenser fan. If you find that the fan is faulty, you can replace it. Do some cleaning on the outside unit. As time passes, the unit is likely to have dirt, leaves, grass clippings, and other particles built up at the unit’s exterior. Clean these out as this can reduce system capacity and air flow. Clean the air conditioner coils as this also collect dirt and dust, which can hinder the unit’s functional capacity. Check out the coil fins as these can easily bend, thus blocking airflow. With an AC unit tool known as fin comb – you can comb the fins into its original state. Check the condensate drains. You can clean this out and prevent clogged drain channel issues that can result in excess moisture. Furthermore, check for refrigerant leakages, seal duct leakage, and inspect electric terminals. Look into the oil motors and see if you can correct belts by tightening. Do you have issues with your air conditioning unit in Conejo Valley and want a professional AC company to fix it so that it functions perfectly? With our AC maintenance solutions – we can get your system back in full working conditions. You can pick up your phone, give us a call, and quickly schedule your AC maintenance services with us today. We also recommend you to schedule an annual inspection ideally before the summer season starts to ensure that your AC unit is working at its peak efficiency. Remember, if your AC unit isn’t functioning correctly, you don’t have to wait till it quits. Let our expert technicians offer the assistance you need to keep you and your loved ones staying comfortable all throughout the summer season. Adequately caring and maintaining your air conditioning unit will save you time, money, energy, and keep you comfortable all throughout the summer. We are the HVAC professionals to help you install, repair and keep your units working perfectly all year long. Contact us for all your Conejo Valley local heating and air conditioning needs. Our highly trained professionals can repair and maintain all brands, makes, and models of air conditioning units whether it is of split system units, ductless split systems or packaged air conditioners which sit outside. We provide 24-hour AC Repair and maintenance services that are fully guaranteed. 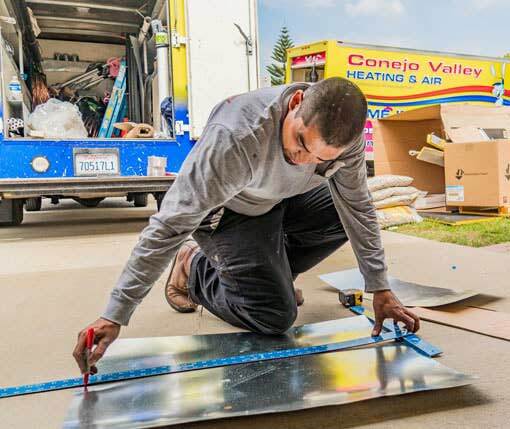 Choose Conejo Valley Heating and Air Conditioning Inc. for AC Maintenance Services as we are here to provide you with the best possible services in town. 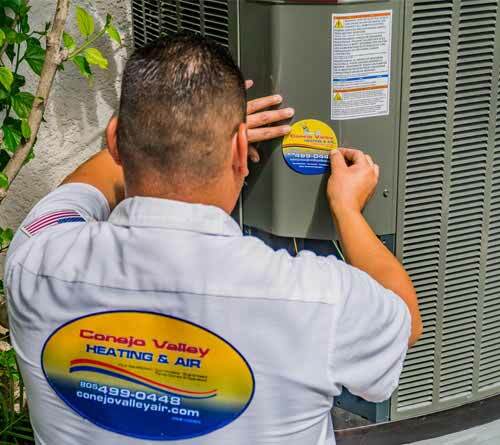 If you are looking for maintenance and repair services for your air conditioner in your home, contact our Conejo Valley Heating and Air Conditioning’s experts today who can help you find the best HVAC system for your budget and your home’s needs. We provide services in different areas of California. We provide air conditioner maintenance throughout Ventura County. Our air conditioning service experts give services in Ventura County’s all areas 24 hours a day. Please contact Conejo Valley Heating and Air Conditioning for HVAC Services. We provide air conditioning services in Carpinteria, Montecito, Channel Islands, Goleta, Santa Barbara, Isla Vista, and more. If you live in these areas, call our air conditioning specialists for ac installation, repair, and replacement. We provide air conditioning maintenance and repair services throughout Los Angeles County. Our air conditioner experts are well trained to diagnose all type of air conditioning services. Please contact Conejo Valley Heating and Air Conditioning for ac repair and maintenance services. We offer professional air conditioning maintenance plans throughout Conejo Valley. Our technicians are well trained and certified to diagnose all type of air conditioning services. Call Conejo Valley Heating and Air Conditioning for air conditioning services.